Sure, a couple of Facebook posts here and there might push a few hundred fans to stream Deja-Vu Spotify, but we knew there had to be a way we could engage a few more. All 1.4M of them? Probably not. But with the right idea, we could certainly do some damage. This opportunity to run an activation with the objective of driving Spotify streams was the perfect fit for our purpose-built platform, MAKEMYPLAYLIST. Fans are driven to a dedicated landing page to create their own themed playlist pre-filled with selected songs, then encouraged to share the playlist with their social networks. This activity drives streams of the pre-filled selected songs, while allowing users to share their favourite music with friends and family. Timmy Trumpet’s MAKEMYPLAYLIST app was pre-filled with the new single Deja-Vu as well as Narco, Punjabi and the hit single Freaks (166M Plays). This left fans to add 6 of their own songs to the playlist. A money-can’t-buy experience incentivised Timmy Trumpet’s 1.4M-large Facebook audience, with fans given the chance to win a trip for 2 to ‘Road To Ultra Australia’ including flights, accommodation, and AAA backstage passes. Fans were delivered to the MAKEMYPLAYLIST app from Facebook and once logged into their Spotify account, were able to create and share their playlists without having to leave the page. 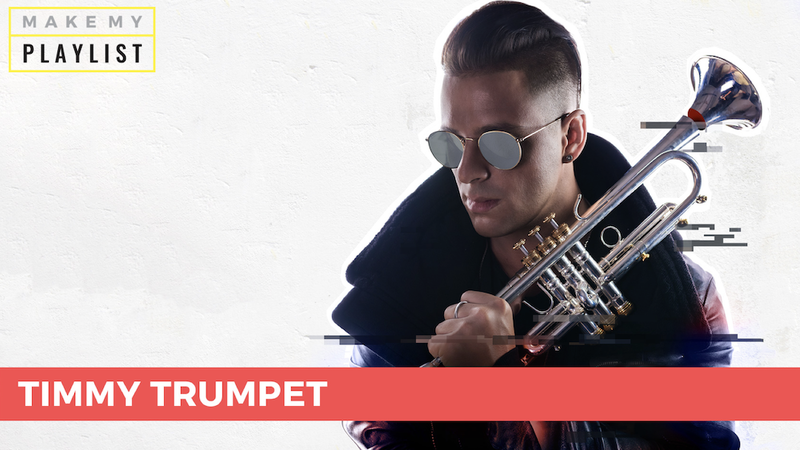 Timmy Trumpet’s MAKEMYPLAYLIST app generated over 6,000 Spotify playlist creations from 4,500 users, with all of these playlists spinning four of Timmy Trumpet’s tracks. This activity lead to Deja-Vu being streamed over 1.5 million times on Spotify. Driven by Facebook content, over 65% of traffic to the MAKEMYPLAYLIST app came from Social. Find out more about MAKEMYPLAYLIST here.